What Can We Do to Encourage All Age Playfulness? At a time when colouring in books for adults were becoming very popular, Natasha started drawing pictures of "two different animals together" and giving them to Adrian to colour in and name. 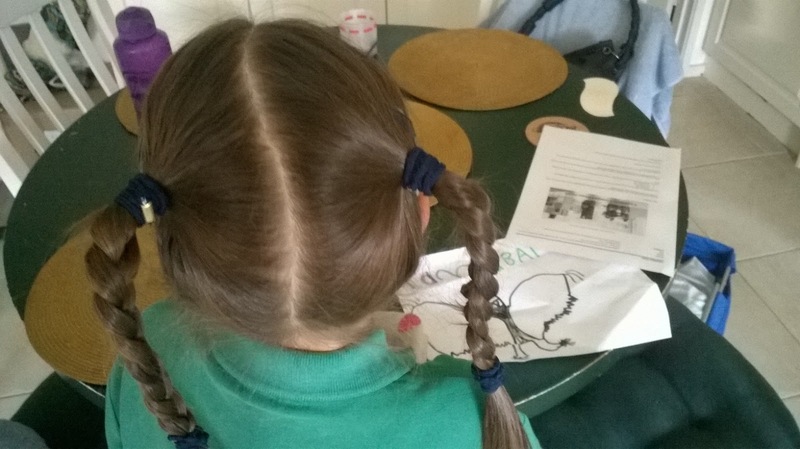 The colouring in was relaxing and exploratory for Adrian and the conversations about what these "together animals" were called became more and more interesting - a real chance for a very meaningful cross-generational discussion. So we put a book together - "Togethimals" - not too overproduced, fairly homely.... Our aim was to help improve interaction and conversation. It was not to make money. So what if people bought the book and a surplus was generated? If that happened, maybe that surplus could help address a societal issue and create a way to involve all generations in it? Maybe this little book could be a daughter and daddy social enterprise of sorts? This looks set to be a fun, little, exploratory journey for us. We hope you, the reader, might like to journey along with us whether it be by buying the book, contributing otherwise to the Fund or participating in who-knows-what-other-activities might eventuate. A fence goes up around the town park. The Bugle sounds a tone of reason: riff raff. And ferals unsettling pristine mulch must be improved or removed. Until my own encounter. Indirect at first. A nice young man with wild hair projected images into the stifling windowlessness of the hotel ballroom. What was outside, came beside and then inside. Mr Mayor tear down that fence. The second way in which progressive Christianity alerted me to paradigm two faith, was through its concentration on historical Jesus research. Obviously this type of research has helped me look beyond the simple faith statements of paradigm one, as I have just explored. But it also has served a broader purpose in that it has reorientated my understanding of the way of Jesus, aligning that concept with the paradigm two understanding of belonging, behaviour and belief. I have come to understand the way of Jesus through the Hebrew term derek. And I have come to understand derek, in the context of Jesus’ life, to mean that which I cannot, not do. Another way to understand that would be the way I respond when I can truly listen to the holy whispers; the messengers in the relationship between my life and the whole source of life. So this idea of derek connotes for me the paradigm two definitions of belonging, behaviour and belief. It feels to me like Jesus favoured the practice of making space for people to find their own orientation to source (rather than having that dictated by patriarchal religious or political systems). 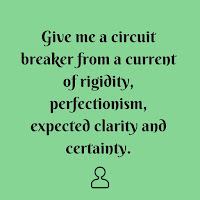 Which brings me back to where we started; with an address entitled “The Power of Vulnerability” and a question as to why such a challenging topic would generate a popular movement? 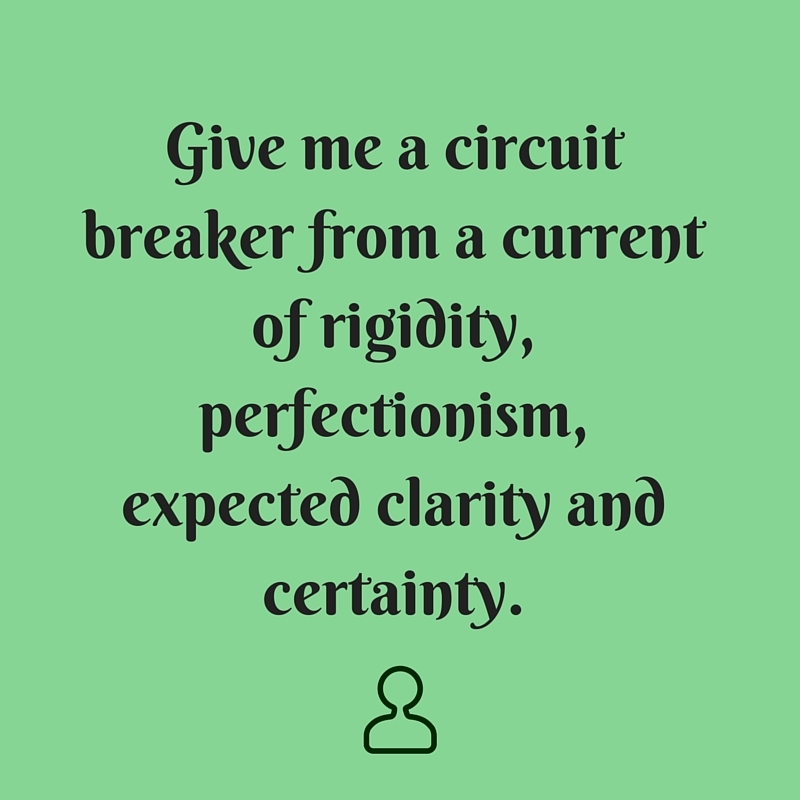 As I read some of the reactions to that presentation it occurs to me that people – particularly western people – are looking for a circuit breaker from a current of rigidity, perfectionism, expected clarity and certainty. We are cottoning on, it seems, to the fact that these expectations are superficially imposed and don’t represent our authentic relationship to the whole. People are finding various ways to save their real lives by discarding an old paradigm of control. Progressive Christian thinking has been one of those ways for me; in fact it has been one of the most significant ways I have been able to shift paradigms. And in that way it really has been a life saver.